Liniar’s innovative range of uPVC garden fencing systems allows you to revolutionise your outdoor living space, offering an attractive alternative to more traditional fencing products. Made from lead-free window grade durable uPVC, Liniar’s plastic fencing is designed and manufactured at our Derbyshire factory, complete with ISO 9001 accreditation. With more than 15 years of experience in the fencing market, the range is designed, modelled, tooled, manufactured, foiled and stocked at Liniar’s state-of-the-art 400,000ft² facility in the heart of the UK. 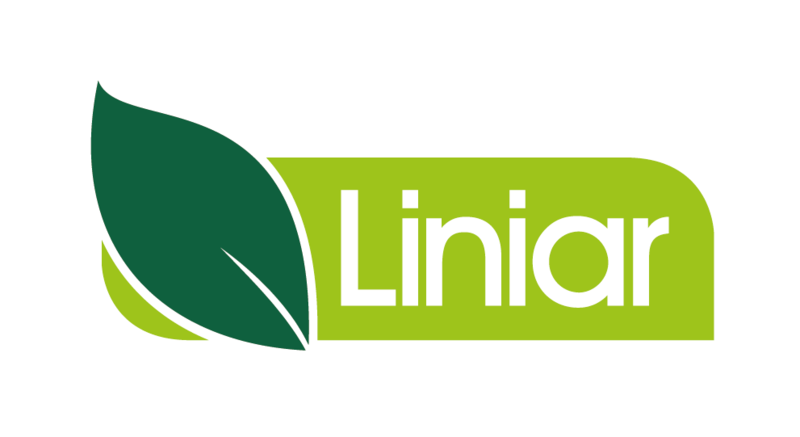 The Liniar brand is synonymous with quality engineering, style and innovation. Continued investment in product design and development, facilities and machinery keep Liniar at the forefront of the very latest technology. You can be assured of a top quality product with Liniar’s unparalleled attention to design and engineering details. Not only do you get the best deal by buying directly from the manufacturer, you can rest assured that our quality systems and customer care are second to none, so if you ever have a problem, we’ll be there at the end of the telephone. There are three different fencing finish options available, in a variety of different colours. Our Classic Fencing range is offered in white, green and brown, Woodgrain Fencing is available in Golden Oak, Rosewood, Anthracite Grey and Black, while our Composite Fencing has three options – Sandstone, Chestnut Brown and Carbon Grey. Liniar’s fencing systems can be mixed and matched with deckboards, handrails and balustrades for a completely bespoke installation. And because we design and manufacture all Liniar products at our factory in the heart of the UK, if you have something specific in mind, please talk to us – we love to come up with innovative, bespoke solutions for your challenges. The Liniar range of uPVC fence posts and gravel boards can be installed in exactly the same way as concrete or timber products but they offer a more flexible and durable solution. The lightweight properties also make them easy to transport and to carry. We can deliver to almost anywhere in the UK using Liniar’s own transport – and because most components are available from stock, lead times are kept low, meaning your fencing can usually be supplied quickly to our nationwide network of installers. Liniar’s fencing systems are made from 88% recycled, 100% lead-free uPVC, making it better for the environment and better for you and your family. You no longer have lead in your petrol or paint, so why choose to have frames containing lead? And because Liniar’s fencing systems are manufactured in our state-of-the-art facility in the heart of the UK, our carbon footprint is kept low. Furthermore, every element of a Liniar fence is fully and easily recyclable at the end of its life. Despite its lightweight design, Liniar’s uPVC fencing system is sturdy, durable, long lasting and completely waterproof. Liniar posts and gravel boards are around 10% of the weight of concrete and can be lifted easily for a simpler installation. Liniar’s fencing system is surprisingly strong and able to withstand storm force winds. One of the great things about Liniar’s fencing system is that it covers all needs. If you need to replace existing timber panels, Liniar’s uPVC gravel boards simply slot into concrete posts to create a full plastic panel. Alternatively, timber fence panels easily slot into Liniar’s uPVC fencing posts, with a uPVC gravel board at the bottom to protect the wood from condensation damage. Or for the full effect, have Liniar uPVC fencing posts and gravel boards – maybe mix and match colours for a completely unique finish? There is a whole range of possibilities. Liniar’s uPVC fencing system doesn’t rot, chip, corrode or require painting – and because there’s no risk of splinters it’s also more child friendly than timber.